The first school uniform appeared in the Meiji Periods, over 100 years ago. At first they were a type of kimono, but later they became more western style. The designs were on European military uniforms. Basically, each school has their own uniforms. 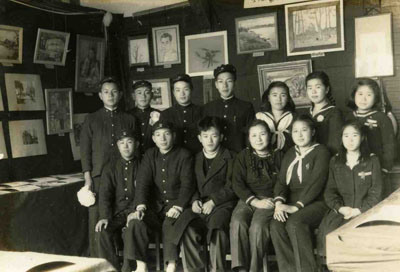 The majority of students at public junior high schools and high schools wear uniforms. Private schools and kindergartens have uniforms, too. Some girls’s uniforms look like sailor suits. You know what sailor suits look like, don’t you? There’s a big collar that’s square in the back. There’s often a ribbon or kerchief tied in front, and usually a pleated skirt. Customizing their school uniform is a way for girls to express their individuality. 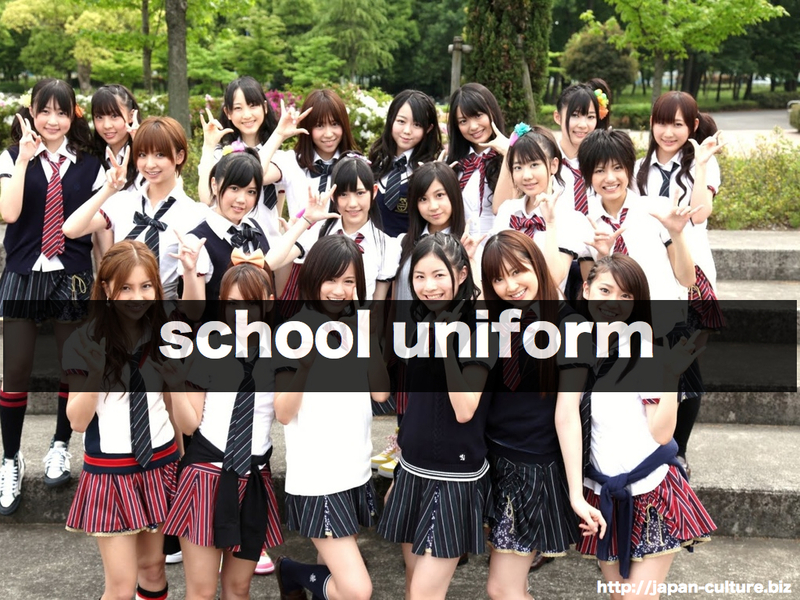 Maybe Japanese school uniforms became so popular because of the way girls wear them. Some of girls wear extremely short skirts, some wear soft, loose-fitting pants under skirt, some wear loose socks; they have their own fashion culture. There are even magazines just for female students. There are two type of school uniform for boys – the tsume-eri and blazer type. 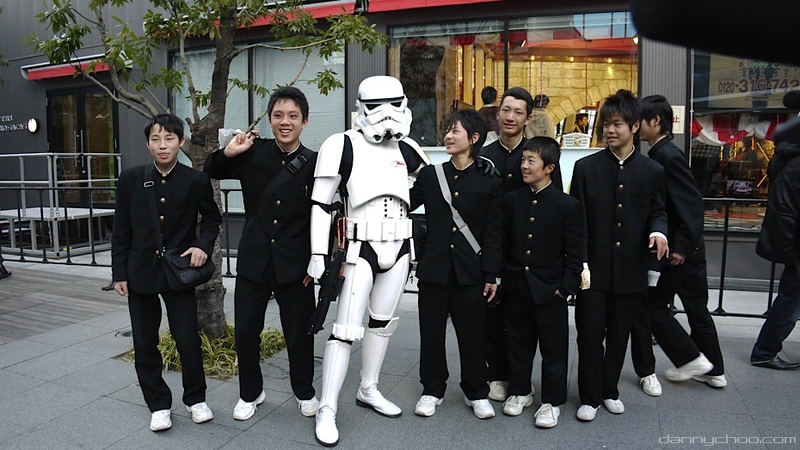 The tsume-eri uniform is modeled after western military officer’s uniforms. It is also called gakuran. It has a black or navy blue stand-collar jacket with a collar that joins in the middle. Blazer-type uniforms are more like business suits. The second button of boy’s uniform has a special meaning. It’s the button closest to the heart, so sometimes a girl asks a boy for the second button as a way to declare their love. Do you have similar custom or traditions in your country?